Thanks to its 30 years of experience and constant innovations in the alignment area, SKF Solution Factory - Marine Services has earned the reputation of alignment expert. Our total solution concepts offers customers a complete and fast solution to alignment problems, anywhere in the world. Making sure all elements of an installation are positioned correctly is often vital to a well-functioning installation. Misalignment can cause friction, vibrations, excess wear or potentially devastating failures to any of the elements. 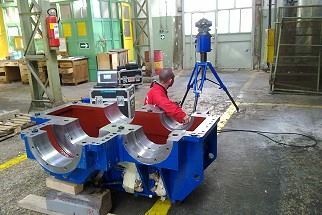 For these shaft alignment measurements SKF Solution Factory - Marine Services makes use of laser, dial indicator, 3D and dynamic measurement technologies. When machines are in operation, there is always a certain degree of thermal growth. This growth is case specific, as it is dependent on the area in which it is placed and the way it is used. 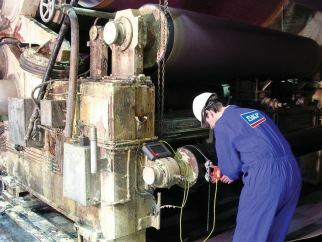 SKF Solution Factory - Marine Services is capable of measuring the thermal growth of your machinery. Additionally the influence of this thermal growth on the alignment of the complete installation can be calculated and when required, potential dangers can be tackled through re-alignment. For this measurement SKF Solution Factory - Marine Services makes use of laser, strain gauge, dial indicator and dynamic measurement technologies. With a straightness and line bore check, relative positions of objects over a required distance is measured. 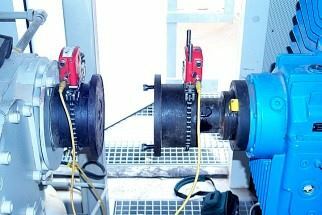 Frequent applications for straightness and line bore alignment services include rollers in paper or steel mills, pipes, machine ends, machine runners, extruders and conveyers. Also bearing positions and line bores are frequently measured for instance for diesel engines in power plants. For these alignment measurements SKF Solution Factory - Marine Services makes use of laser and 3D measurement technologies. 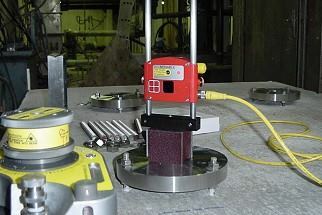 A flatness measurement is used to check the height of various measurement points in relation to its foundation. 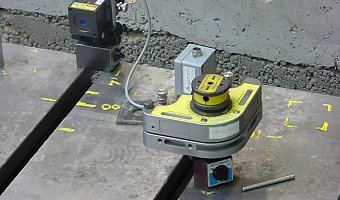 Flatness alignment surveys are for instance applied to wire ends as well as forming beds in papermaking machines, slewing bearings and flanges, machine bases or machine tables, such as turning lathes. Other examples of SKF Solution Factory - Marine Services projects include checking foundations for machinery as well as checking the foundation plates of wind turbines. For this alignment measurement SKF Solution Factory - Marine Services makes use of laser and 3D measurement technologies. Perpendicularity measurements involve making sure two planes are aligned at exactly 90 degrees of each other. SKF Solution Factory - Marine Services performs this alignment service at all scales, from the calibration of the angle plate of milling tables to wind turbines. Making sure objects are parallel to each other is often important for a well functioning installation. Some examples of parallelism alignment measurements SKF Solution Factory - Marine Services has performed include the parallelism between rolls in paper or steel mills and on printing presses. Other examples include the parallelism of rails, overhead tracks or press machine tables.